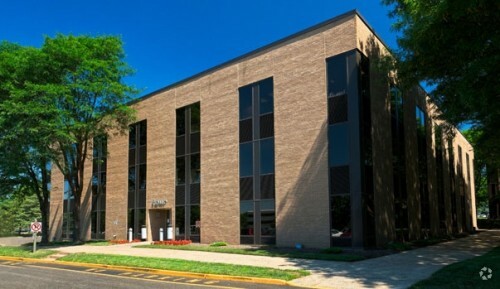 Wolf Commercial Real Estate, a premier Philly commercial real estate brokerage firm with expertise in Philly commercial real estate listings and services, now has available prime Philly office space for lease at 4 Neshaminy Interplex Trevose PA. There is one suite with approximately 4,482 square feet of Philadelphia office space for lease available in the Neshaminy Interplex 4 at 4 Neshaminy Interplex Trevose PA. This professional office space in Philly has been newly renovated. The asking lease price for this professional office space in Philadelphia is $17.50/sf plus electric. This Philly office space for lease is being offered for immediate occupancy by Wolf Commercial Real Estate, a Philly commercial real estate brokerage firm that specializes in Philly commercial real estate listings and services. This Philadelphia office space for lease is available as a subleased property with a lease term expiring November 2017. This professional office space in Philly in the Neshaminy Interplex 4 features landscaped courtyards, seating areas and well-lighted walkways. There also is both lobby and suite signage available at this professional office space in Philadelphia. With a ratio of 4.00/1,000 sf, parking is plentiful at this Philly office space for lease through Wolf Commercial Real Estate, a Philly commercial real estate broker with expertise in Philly commercial real estate listings and services. The Pennsylvania Turnpike and I-95 are in close proximity to this professional office space in Philadelphia. More than 276,000 residents live within five miles of this professional office space in Philly at 4 Neshaminy Interplex Trevose PA. The average household income within the same five-mile radius of this Philadelphia office space for lease is $78,691. For more information about this Philly office space for lease in the Neshaminy Interplex 4 at 4 Neshaminy Interplex Trevose PA or about other Philly commercial properties for sale or lease, please call 215-799-6900 or contact Leor Hemo (cell 215 514 1750; leor.hemo@wolfcre.com) or Jason Wolf (cell 215 588 8800; jason.wolf@wolfcre.com) at Wolf Commercial Real Estate, a Philly commercial real estate broker.